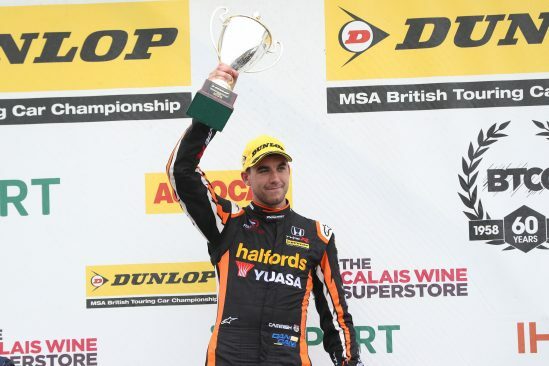 A Honda driver has finished on the Dunlop MSA British Touring Car Championship podium at Knockhill every year since 2009, and Dan Cammish kept that proud tradition going this weekend (25/26 August) with a head-turning performance for Halfords Yuasa Racing north of the border. 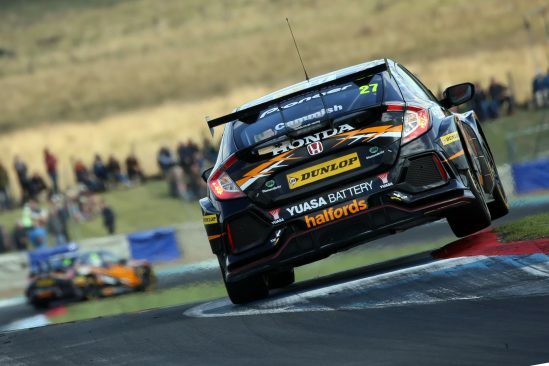 Around an undulating, rollercoaster ride of a circuit that historically favours rear wheel-drive machinery, Cammish upset the formbook in qualifying by speeding to his maiden BTCC pole position behind the wheel of the new Civic Type R (FK8) – making him the best average qualifier of the 2018 campaign to-date. 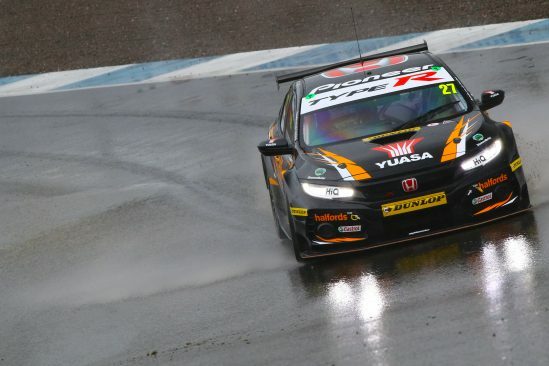 The heavens opened on race day, soaking the picturesque Fife racetrack, but the inclement conditions did not deter Honda’s standout rookie, who leapt off the line into the lead at the start of the curtain-raiser and confidently held sway at the front of the field throughout the opening 11 laps. Although ultimately powerless to resist the rear wheel-drive onslaught, Cammish clung on valiantly to take the chequered flag third – and top front wheel-drive competitor – before replicating that result in race two following a hard-fought battle. 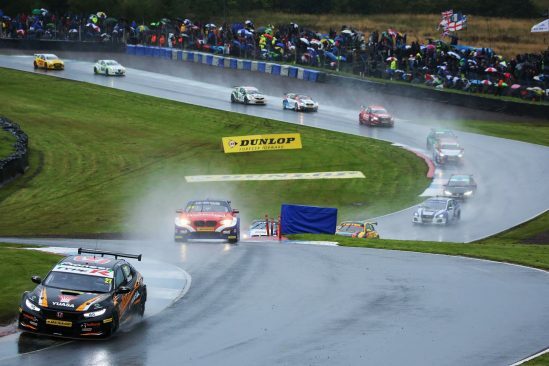 The Yorkshireman was denied the opportunity to make it a points-scoring hat-trick in race three by mechanical issues, but could nonetheless reflect upon a thoroughly impressive weekend. 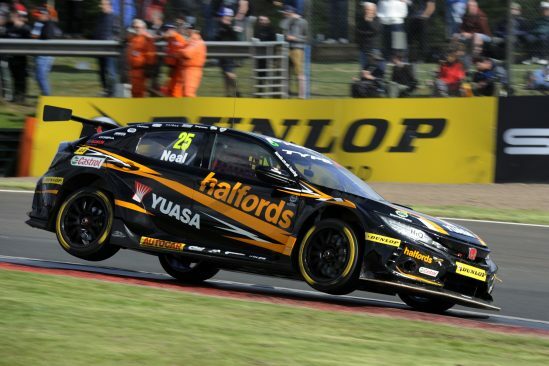 Hamstrung by having to carry 39kg of success ballast in both qualifying and race one, team-mate Matt Neal lined up a frustrated 21st on the closely-contested grid, before being removed from contention at mid-distance by an errant rival. From thereon in, his weekend became an exercise in damage limitation, and the three-time champion showcased his skill to rise to 17th in race two and a points-scoring 15th in the finale. The results leave Neal ninth in the Drivers’ standings and Cammish tenth, with Honda and Halfords Yuasa Racing second in the Manufacturers’ and Teams’ tables respectively ahead of the remaining two outings at Silverstone (15/16 September) and Brands Hatch GP (29/30 September).